You know your cat has his or her own unique personality. Now studies in New Zealand and South Australia have shown that understanding your cat’s personality can help owners and vets give pets a happier, healthier life. Most research into animal personality has been centred on what humans can learn or gain from an understanding of how an animal behaves. In this study, it was more about learning how to improve the welfare of any individual cat based on an understanding of its personality. Previous studies on the behaviour and personalities of felines were carried on wild or feral cat populations, or in ‘environment of a cattery or rescue centre. Lacking the interaction between cats and their owners, these don’t greatly advance the understanding of cat behaviour in a domestic setting. As part of the larger ‘Cat Tracker’ online study of domestic cats and owners’ views on their management and welfare, owners of 2802 domestic cats scored their cats according to 52 behavioural characteristics. On a scale ranging from ‘not to all’ to ‘very much so’ owners recorded to what degree their pets expressed each behaviour type. Based on their owners’ responses, these behavioural characteristics were summarised into ‘The Feline Five’ behavioural traits that describe an individual cat’s personality and temperament. Scores representing highly erratic or reckless behaviour were deemed to represent an ‘impulsive’ feline trait. Those revealing a bullying, jealous or aggressive nature to other cats were labelled ‘dominance’ while expressions of affection and gentleness toward their owners were labelled ‘agreeable’. The ‘extroversion’ trait was recognised by an animal’s vigilance, curiosity and playfulness, while ‘neuroticism’ was characterised by displays of insecurity, anxiety and shyness toward people. The research team’s aim with the ‘Feline Five’ personality test is to help improve the health, welfare and happiness of domestic cats through promoting an understanding of each pet’s individual needs. Cats scoring particularly high or low for a behavioural trait might signal a cause for concern prompting a change to a cat’s environment, management, diet or veterinary treatment. Cat’s returning a high score for the ‘extrovert’ trait might require environmental enhancement to prevent boredom, and the kind of displacement behaviour that can increase vulnerability to skin diseases. High scores on ‘impulsiveness’ might indicate a stressful environment with potentially damaging effects on a cat’s health such as depressing its immune response resulting in a weakened ability to fight off infection. Cats high on the ‘neuroticism’ scale might require safe places to hide within the home. Reacting badly to stress, they might need extra reassurance when being transported to the vets for routine vaccination, examination and diagnostic testing for virus, bacteria or parasite infection. 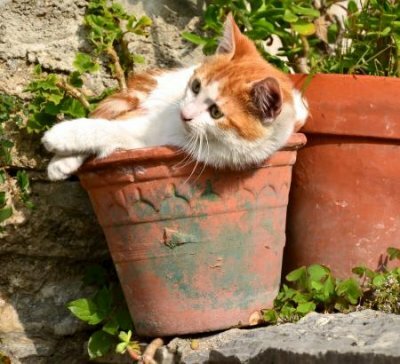 Understanding the personality of a resident cat could inform the decision making of households thinking of introducing a second feline or another animal. Knowing more about a pet’s individual character will help owners predict how their pet might react to changes to the home environment by guiding their provision of appropriate support and reassurance. Save an amazing £196.00 on a CombiSpin Centrifuge! For a limited time, we will be offering our CombiSpin Multi-Combination Veterinary Centrifuge at the unbelievable price of only £699! Payments welcome. Open Monday - Friday 9.00am - 5.00pm Closed Bank Holidays.